Item number A8377 from the MOA: University of British Columbia. 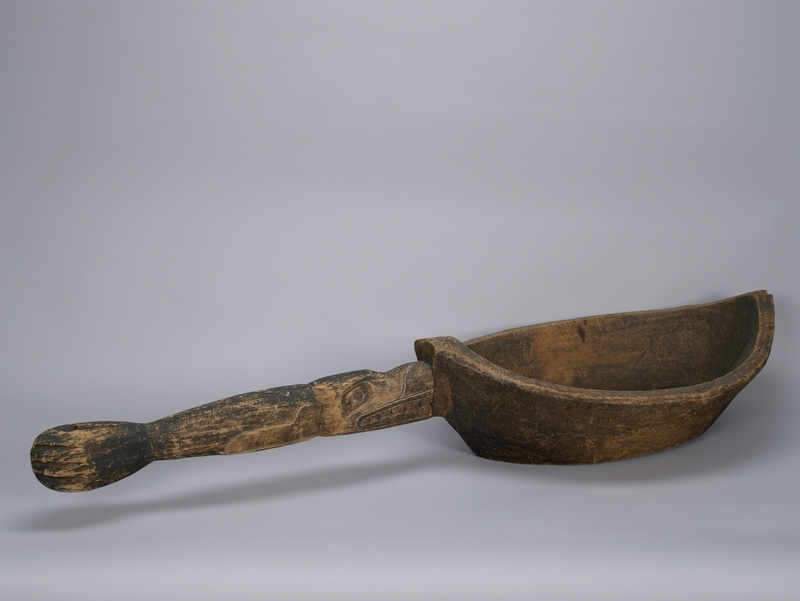 Large wooden ladle with a deep bowl and a cylindrical shaped handle carved in the form of a sea-lion. The bottom of the mouth attaches to the top of the spoon. The nose, eyes and mouth are carved, there is shallow engraving for side fins. The end of the handle consists of the back fins formed together in an oval-like shape. Painted black but there are traces of white and orange paint. 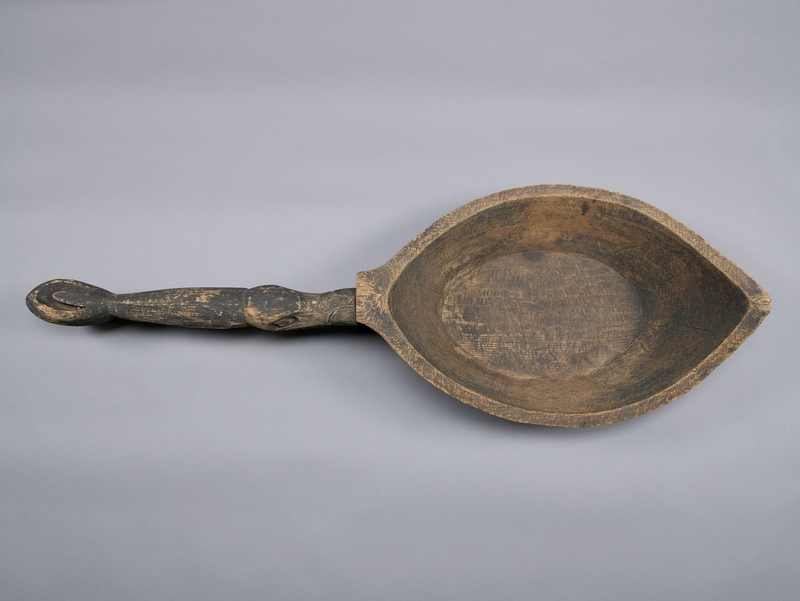 Ladles were used to serve food from large feast dishes into smaller vessels. Feasting occurred at ceremonies and potlatches, as well as other important social occasions. 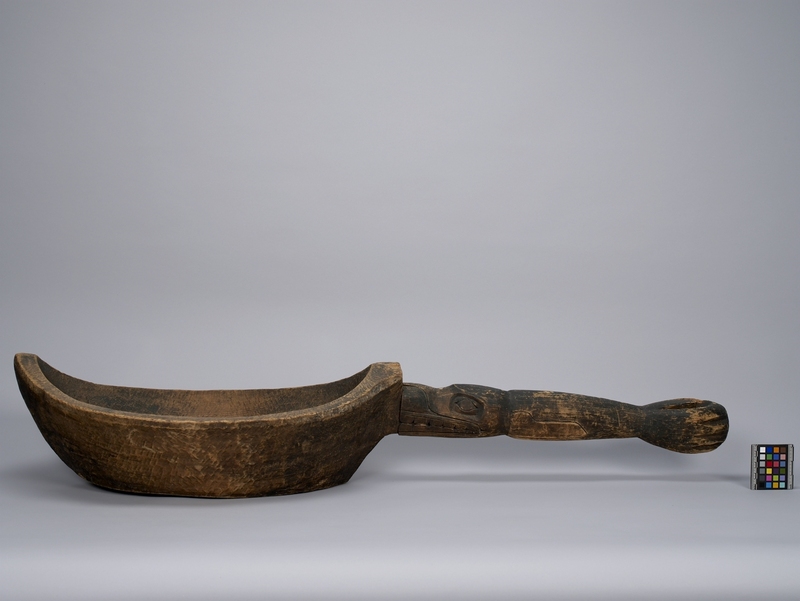 The figures represented on feast dishes and ladles were crest figures, which owners had the rights to display, through their histories and origins, as family privileges. Sea-lion is usually represented in Kwakwaka'wakw sculpture with an elongated and rounded snout, and flippers or fins.